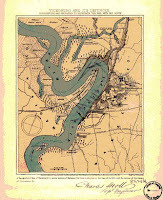 Born in Vicksburg, Mississippi in 1915, Willie Dixon grew up in what can only be described as the 'Old South'. His earliest memories were of his mother Daisy's lilting rhymes that colored his everyday life. He would take up the practice himself and, soon after he learned to talk, he learned to make every sentence a poem. By the time he was five years old, Daisy saw to it that he was learning to sing harmony at the Spring Hill Baptist Church. Taken with the music that surrounded him, he would play hooky from school to follow after intinerant artists like Little Brother Montgomery as they passed through town. Before long he was singing bass in a group called the Union Jubilee Singers that had a 15 minute slot on local radio station WQBC. An adventurous kid, Willie found himself on the wrong side of the law a few times in those days, and by age seventeen he decided to make his way to Chicago and try his hand at a boxing career. 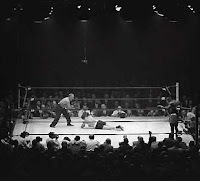 Even then he was big, and won himself the State of Illinois Golden Gloves Heavyweight crown in 1937. After only four professional bouts, Dixon ended up in a fistfight with his manager over money. A fight which would unfortunately end up trashing the Boxing Commissioner's office, and get Willie suspended for six months. That may have been the best thing that could have happened. 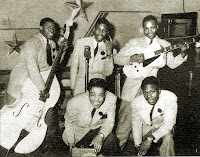 A friend of his from the gym, Leonard 'Baby Doo' Caston, built him a 'tin can' bass and together they formed a group called The Five Breezes in 1939. As more and more African Americans made their way north to Chicago, the band became quite popular in the South Side clubs where they hung out. Eventually able to trade his home-made bass in for a real one, Willie was a natural, developing his own unique percussive style that only a man of his stature could create. 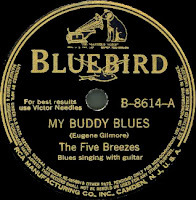 In late 1940, The Five Breezes signed with Bluebird Records and would wax eight sides for the label. When the federal government instituted the draft following Pearl Harbor, Willie refused to comply. Years before any notion of a Civil Rights movement, Dixon stood up in court and told them he wasn't going to fight for a country that allowed "the conditions that existed among my people. I didn't feel it was justified according to the laws of the government because of the way they were treating black people. I said, I wasn't a citizen, I was a subject." A none too popular stance in 1941, it landed him behind bars for almost a year. Baby Doo, meanwhile, had formed his own trio called The Rhythm Rascals, and so when Willie was released, he put together his own outfit, The Four Jumps of Jive who would have the inaugural release on Irving Green's fledgling Mercury label. 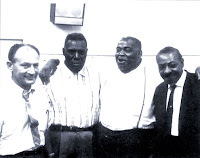 By the end of the war, Caston and Dixon were re-united in a group called The Big Three Trio, which would also feature Bernard Dennis on the guitar. As Dennis was replaced by Ollie Crawford, the group developed a kind of cool vocal harmony jump sound, not unlike contemporaries The Inkspots and The Mills Brothers. After recording a few sides for the Nashville based Bullet label, they scored a top ten R&B hit for Columbia with a smooth cover of Big Joe Turner's You Sure Look Good To Me in early 1946. Popular with the white crowd downtown, they'd jam late nights back on the South Side. 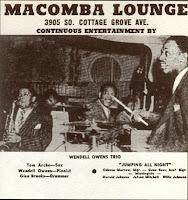 Working around the corner at the El Casino, Willie would sometimes drop by a new club called The Macomba Lounge. It was there that he met the owner, Leonard Chess, an immigrant entrepreneur who saw the enormous potential in the post-war music boom that was rocking Chicago's black community. He and his brother Phil became partners with Evelyn Aron in a record company called Aristocrat in 1947, and set about recording what was going on around them. Dixon, who had been doing studio work for years with Bluebird and Okeh, played bass on some of the label's early sessions. Aristocrat's roster would grow to include folks like Sunnyland Slim, Robert Nighthawk, and a new arrival from down south named Muddy Waters. By 1950, the Chess brothers had bought out Aron and renamed the label after themselves. When the Big Three Trio broke up in 1951, Willie Dixon accepted Leonard's offer to become his 'right arm' at the new company. It was Dixon who almost singlehandedly created 'the Chess sound', acting not only as the bass player, but producer and arranger as well. He was known and respected by everybody on the South Side, and gave the label a credibility among its target audience that it could never have achieved on its own. He put together the sessions, often having to track down his musicians by putting the 'word on the street', something Leonard Chess could never have done. He got even more than he bargained for, as Willie's incredible talent as a songwriter soon became evident. 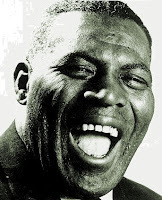 Not to mention, of course, the primal body of work he created for the legendary Howlin' Wolf; Spoonful, I Ain't Superstitious, Little Red Rooster, Built For Comfort, Three Hundred Pounds Of Joy... or how about My Babe for Little Walter or Bring It On Home for Sonny Boy Wiiliamson? As if all that wasn't enough, Willie was also the man laying down that fat bottom on all of Chuck Berry's and Bo Diddley's groundbreaking early rock & roll records. You really can't say enough about his importance in the formation of music as we know it today. Our current selection is Willie Dixon's only chart hit under his own name. 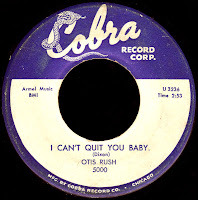 Rising to #6 R&B in the fall of 1955 (during the same period that Chuck Berry's Maybellene, on which Dixon had played the bass, owned the #1 slot) it was (oddly enough) not written by him, but an adaptation of an old Champion Jack Dupree number. The 'Allstars' with him here are Lafayette Leake on piano, and Fred Below doin' all that 'walkin'. How great is this song? "I hope my old lady's home when I get there... all this walkin'. I don't mean my mother-in-law, I mean my wife. My mother-in-law, she's always there!" It just doesn't get much better than that, folks. After a falling out over royalties, Willie left Chess in 1957 to start up the Cobra label with local 'one-stop' owner Eli Toscano. There he would create more seminal blues records for the likes of Otis Rush, Buddy Guy, and Magic Sam as well as working with a young cat by the name of Harold Burrage who would go on to become one of the founding fathers of Chicago Soul. You all know how I feel about the whole 'genre' issue, and Willie Dixon's work is a prime example. I mean although it most certainly is 'the blues', Dixon expanded the definition of what that term means, probably more than anyone else ever. 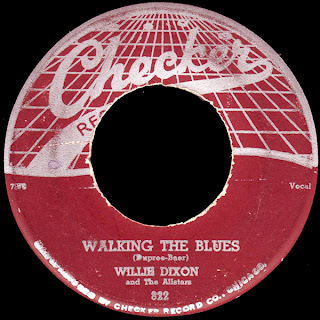 By 1959, Dixon was back at Chess adding his own magic to countless sessions by an expanded stable of acts that now included Gospel and smooth R&B as well. As the electric bass came into prominence in the early sixties, there was less call for Willie's playing, but he was still writing hit songs for the label, like KoKo Taylor's 1966 smash Wang Dang Doodle. When Leonard Chess died in 1969, Willie moved on, forming a new group of Chicago Blues Allstars that toured Europe to rave reviews. Again signing with Columbia, he released an album called I Am The Blues, which helped establish him as a performer in his own right. Although bands like Cream and The Doors had covered his material by then, Willie never saw a dime. After Arc Publishing successfully sued Led Zeppelin over its wholesale lifting of Dixon's Bring It On Home, he and his lawyer began an audit of the publishing company that was set up by Leonard Chess way back in the fifties. Eventually, Willie got paid, and it opened his eyes to the abuses that he and his fellow songwriters had taken at the hands of the publishers. He would sue Zeppelin himself later on over their uncredited use of You Need Love (as the basis for Whole Lotta Love), and win an out-of-court settlement then as well. Inspired by those successes, he founded the Blues Heaven Foundation, an organization dedicated to helping his fellow artists and songwriters finally recieve what was coming to them, as well as providing education for urban youth about their legacy. He continued to record, receiving a Grammy for 1988's Hidden Charms. The following year, Willie published his autobiography, again titled I Am The Blues, which told the incredible story of his life in the music. I was lucky enough to see him at one of his last performances as part of the Benson & Hedges Blues Festival at the Beacon Theatre in NYC in like 1990. I'll never forget it. After suffering the complications of long-term diabetes for years, Willie Dixon died quietly in his sleep in January of 1992. In 1993 his widow Marie was instrumental in purchasing the landmark Chess studio at 2120 South Michigan Avenue in Chicago to serve as the headquarters for Blues Heaven, where it remains to this day. He still is The Blues. Yes indeed he is, Red. As always, you are one of the true walking encyclopedias of Soul, and for that I am really thankful. Great post! Great post as always. "Walking the Blues" has been a fave of mine for years. There are times I'll be walking down the street or on our office's wood floors and I'll catch myself slipping into that beat, and I'll usually laugh to myself and either say "man, it is hot today!" or "all you gotta do is ... put one foot in front of the other." I too was privileged enough to see Willie at the Benson & Hedges Blues Festival at the Beacon Theatre in NYC. And I knew it at the time. Watching him was like being transported to a place that is only mimicked today. 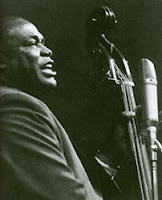 Willie Dixon is, was and always will be The Blues.